A good article, but also passing along a good blog. I enjoyed several posts this morning! Ever Wondered What To Say To A Homeless Person? The right words can make a big difference when talking to someone living on the streets. 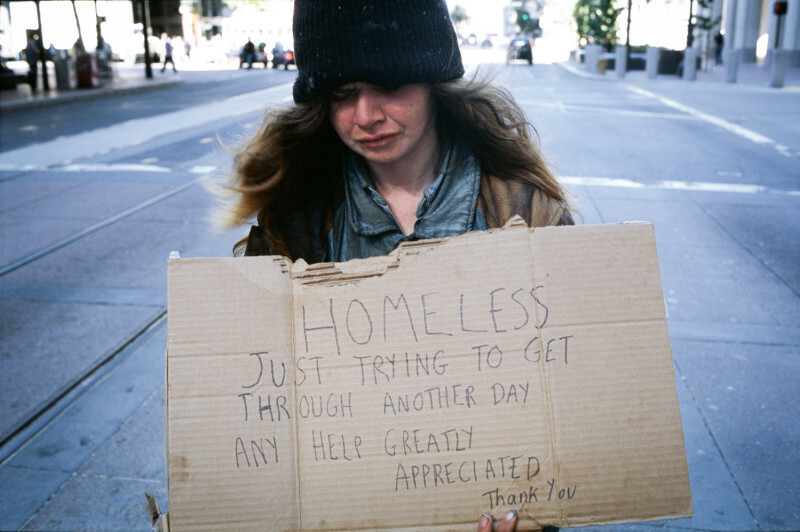 When you see a homeless person, what do you do? Most of us tend to have the same response: We avoid eye contact and walk a little faster. But you might also ponder the situation, thinking to yourself, What’s his story? How did this happen to her? How long have they lived on the streets? Maybe you even wanted to help, but didn’t know how to start a conversation. I have quite a few opportunities to talk to homeless people in San Francisco. One of the organizations I support, The Homeless Prenatal Program, helps families get back on their feet. It’s a terrific organization. That said, our family walked by a homeless man the other night. We struck up a conversation about where we all were from, my husband from the East Coast, me from the Midwest, and our son who was born in San Francisco. The homeless man was from San Francisco, but he had recently visited his 92-yr-old auntie in Chicago before she died to show his respect to her. We talked about how he couldn’t take the extremes of weather in Chicago compared to San Francisco, even though the fog was blowing past us as we talked. We talked about the Cubs and the Giants, since I’m a die-hard Cubs fan living in Giants territory. Then we gave him a little money and finished our walk. Mitchell always talks to them and says hello, etc., as he does with everyone, and gives money when we can. We’ve supported a local group called Community Warehouse that really helps put people on their feet. I feel uncomfortable talking to them if I am alone. I’ve had TWO brothers who were homeless, one from alcohol and one from schizophrenia, and so I know that people are there for a variety of reasons, and are not generally dangerous. Still, I was punched by a nutty girl when I was a kid and it stays with me as a possibility. Yes, it’s wise to have an exit strategy, considering how many homeless people have different forms of mental illness, including some of our veterans with PTSD. Years ago, when we lived in Portland, I used to bring the homeless home. They would bathe, have a meal and spend the night, or even a few days, and we would have interesting conversations. Most of them had mental issues or had made bad choices involving drugs. We never saw any women for some reason back then, when my former husband and I trusted everyone who crossed our path, unless we had a strong negative vibe. But things have changed, since then, and I don’t think it’s my heart turned to stone. Maybe it’s fear. Some of the people we’ve encountered have real rage and freely express it. I no longer trust everyone on the street, and never bring them home, rarely give them money. One of our friends had his jaw broken because he didn’t have any change to give a posse of downtown homeless kids. It’s hard to forget something like that. Seems like so many are mere teenagers, now, kids who might have a life of potential but have gone off the path and don’t know how to get back. Being in NW in the warehouse area, there are a lot of homeless. It is becoming fairly easy to differentiate between homeless and meth addicts. Meth addict scare us both to death. It is why we carry a hand-held spray. These people are quite violent, and fearless. There is a group in Portland that is working with non-addict teens, teaching them to cook. They come in, can take showers, etc. learn their trade, and i assume some find homes to stay in as they get to know people. But they must be clean and sober. Thanks for sharing this, Katie. I definitely have mixed feelings and information about strategies helps.